Okay, got it together, tried it on. It fits! so I wove a bunch of 2×6’s to add a little to the length, my calculations telling me I did not have enough to make it 4×6. But it may take awhile to get this strip added as I am trying to make it look like I had planned this all along so am attaching it with a kind of lacy looking stitch. I hope. 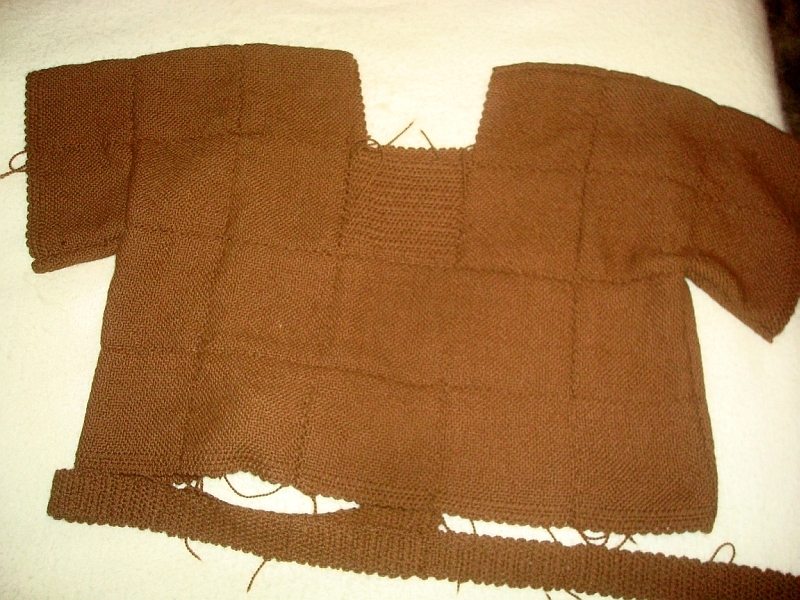 I added the slide stitch pattern to the front neck and also to this bottom trim to give it a bit of interest. I don’t remember if I said but the neckline I had planned proved to be too low for my taste so I added another 6×6 there, as you can see. I’ve got lots of squares, but how do you join them? I did these by putting the face to face and sewing into one picot and then back in the other. I think I’ll post some photos or maybe a vid. Check back.